Shouldn’t everyone in a startup be working on ‘growth’? If so, what actually is a growth team? Why are so many other growth teams obsessed with micro-optimizations and tactics? How do we take a step back and think more holistically about this set of problems? At the Boston stop of our 2016 Inside Intercom World Tour, I spoke about how we unraveled our discomfort with how others thought about growth and came to lay down our own definition for what a very Intercom growth team should look like. 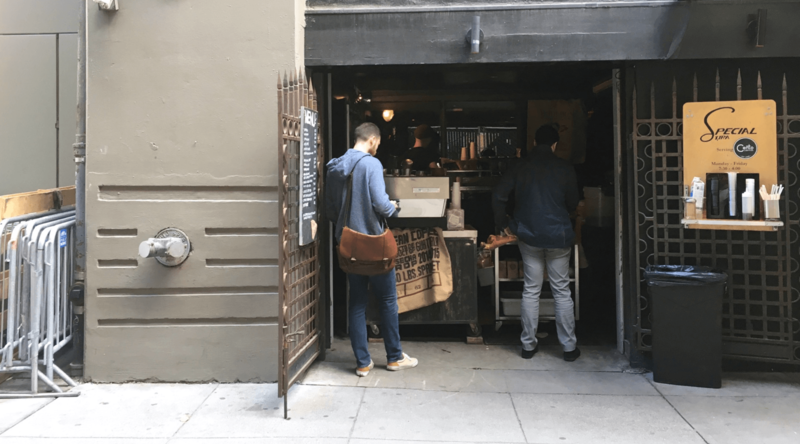 There’s this coffee shop, Special Xtra, down an alleyway by our offices in San Francisco. Special Xtra, while charming, is quite literally a hole in the wall with an espresso machine. The mechanisms for selling or delivering their product – coffee and pastries – to the world is at an absolute bare minimum. In some ways, Special Xtra can be taken as a metaphor for an ultra early stage pre-product-market fit startup focused primarily on product. No business – certainly not one that wants or needs to grow – has the luxury of focusing on just product forever, at some point you have to start asking yourself, “How do we start being deliberate about growth?” For Intercom, this became top of mind around three years ago. It was around that point that our CEO tasked me with defining and building the growth team for Intercom. ‘For Intercom’ was critical as so much of how others spoke, wrote, and thought about growth didn’t, and still doesn’t, resonate. By this definition, everyone in a startup is, or should be, working on growth. Engineering teams don’t exist to write code. Engineering teams exist to apply science to build products to grow the company. Marketing teams don’t exist to make landing pages. Marketing teams exist to communicate the value of a product, service, or brand to grow the company. But how do growth teams grow a company? By growing the company? These more established functions – engineering, marketing, sales, etc. – have a framing of the problem, and that framing of the problem becomes their tool for solving the problem. Most growth teams are defined by a desired outcome – growth – and nothing else. 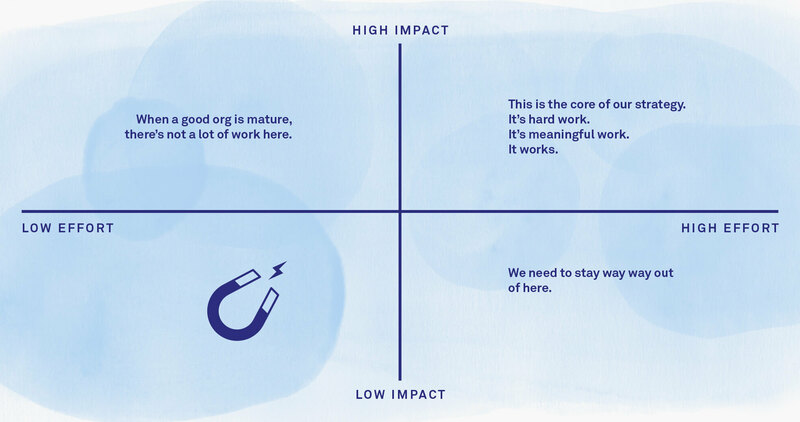 The lack of a framing means growth teams are given no frameworks to think about the world, no starting place, and ultimately little opportunity for success. Apply your average growth team to our coffee shop and they’d build you the best cash register in the world before you’d get a nice decor, or a roof to keep you dry while buying your $6 lattes. is not a new human activity. That said, there is some amount of convergence on the types of problems growth teams work on: onboarding, A/B testing, activation, engagement, pricing, purchasing, conversion rate optimization. But what ties all these things together? Without answering that question, we’re still in the dark, jumping from tactic to tactic without anything to guide us. So, let’s take a step back and recognize some obvious truths. Packaging and selling products is not a new human activity: we’ve been selling products for thousands of years. Onboarding is not a new human activity: it’s no different than Ford manuals from 1919. A/B testing isn’t new either: randomized controlled trials were first reported used in a study for treating scurvy in the 1700s. Growth hacking isn’t even new: back in 500 AD, Romans would display eggs, liver, and onions for sale floating in water so that they looked larger. Maybe the thing here is that we’re not actually doing anything new. Maybe we just need to be a little less arrogant, a little more thoughtful, and take a broader view of history and the world. I think when we do that, we unlock a whole bunch of interesting inspiration and perspectives that can guide us in better defining and running ‘growth’ teams. I love furniture stores. You walk in and they have this amazing browse-ability that no other buying experience has, while at the same time showing you how all different pieces fit together in a way that you could never imagine yourself. What software experience encourages this sort of exploration? Le Creuset do an amazing job in their marketing of showing fundamentally mundane products, cookware, and how they emotionally tie into your life. Look at any clothing catalog ever and it’s selling a better you. I don’t think it even matters whether it’s true or not. What matters is you believe it could be true because of the obvious amount of thought and care that Apple has put into every detail of their stores and the experience of buying their products. Visit an Abercrombie store and every one of your senses will be blasted with different dimensions of their brand, be it through smell, sound, light. Where is there anything like that in our world? Think of how enjoyable browsing a bookstore is. You’re able to consume so much information in such a lightweight and pleasant way. Think of how much better this is than browsing the app store. It’s through the lens of this famous Marc Andreessen quote that we can actually understand what a growth team is. The problems a growth team works on are not new. All these other examples, they’re all thinking about how their products are bought, about optimizing those experiences, about conversion, about trying new things. A growth team is a software team solving a company’s business problems. So what is a growth team? A growth team is simply a stop gap while sales and marketing teams learn to build software themselves. Think about kids in high school today, or in elementary school, growing up surrounded by software. When these kids go on to be our future sales and marketing leaders in 10 or 20 years, they’ll be equipped to build world-class software teams within their orgs. Until then, we have growth teams. More concretely, a growth team is a software team solving a company’s business problems. Business problems that have existed for millennia. In contrast, a product team is a software team solving customer problems. The customer problems typically have existed for a long time also. So, how do we start being deliberate about growth? We now have a framing of the problem and a perspective on the world to help us answer this question. We need to think more holistically about the experiences we work on. Too many growth teams jump straight into optimizing some small micro piece of their funnel. For just a second, we need to forget about the conversion rates. Your users don’t think or care about which stage of the funnel they’re in. Take a step back and think about the overall experience. This is where the idea of the cash register comes in. 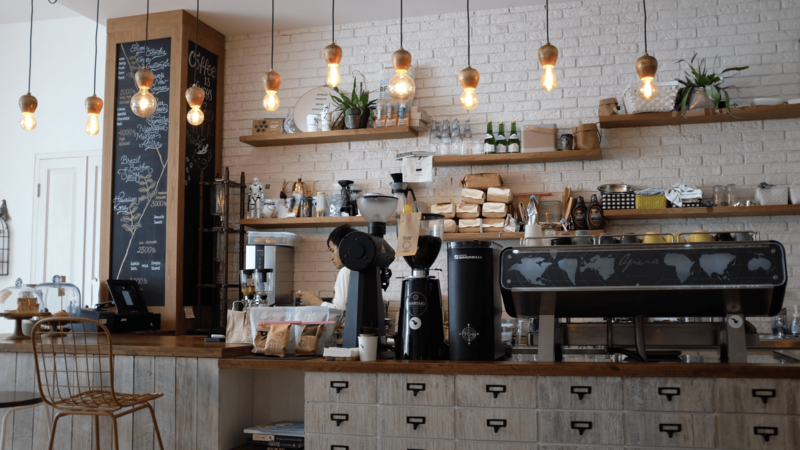 The cash register is not how our coffee shop is going to increase its sales, but it may also be the most measurable thing at that point in the business’s life. We need to look outside software for inspiration. We have many of the previous examples up on the wall of the growth team’s conference room at Intercom. I don’t believe there’s any software businesses worth looking at for inspiration for how to better sell your product. We need to focus more on high-effort, high-impact work, and avoid snacking. So many of the micro optimizations growth teams do are low effort, low impact. Getting to the upper right quadrant is hard, but it’s impactful. It’s the strategic work that challenges assumptions and changes the trajectory of your company. Look outside software for inspiration. We need to start growth teams with creatives and entrepreneurs, not analysts. Analysts are important too but the core of your team needs to be working out how to solve the problems your business faces, not measuring the solutions to those problems. We need to be comfortable not A/B testing every change. There are some changes you know are better. I see so many people kill their progress, particularly while starting out, by trying to verify every single change. You might not know precisely by how much something is better, but at the start, shipping improvements is the most impactful thing you can do. At a certain point, if you’re a Facebook, if you’re a Twitter, if you can measure things quickly, go for it. Measure everything. Measurement is important and valuable but it comes at a cost. We’ve been following these philosophies at Intercom for over three years. In 2014, we added a new way of signing up to Intercom – importing contacts from a CSV file – and it was one of the most impactful changes we ever made to our business. There was no conversion rate showing us people weren’t converting through this non-existent flow. More recently, we significantly re-ordered the setup experience for Intercom, taking any upfront work out of signup. The only reason we were able to do this is because we spent six months designing and building a comprehensive setup guide. The impact on conversion rate here was significant – the biggest since CSV import – and it also had positive unintended side effects, such as a 25% drop in same day cancellations. This isn’t uncommon when you take a step back, and broadly solve a problem, rather than optimize a zoomed-in conversion rate. This approach has worked for us and is not just a collection of romantic ideas about furniture stores. Apply all this to our coffee shop, and rather than build a better cash register, we would rent a new space, tidy up the decor, get a roof. The product is fundamentally the same, but the mechanism for delivering it to the world has improved substantially. Over time, we’d hope our coffee shop would continue to grow. Hopefully we’d open a second, a third, a tenth, a twentieth. If we continued to be successful, one day we’re opening our 100th store and challenging Starbucks. At this point we can get leverage from tweaks and optimizations – it starts to make sense to build the best cash register in the world if you can swipe credit cards 10 percent faster than anyone else. But if you start with optimizations, you’ll never get there. Put another way, a billion dollar company was never built off better cash registers. But a $100 billion company just might have been.